On the one-year anniversary of her son's death, Katherine Jackson is set to release her book, "Never Can Say Good Bye: The Katherine Jackson Story" -- a coffee table tome with 150 pages of never-before-seen photos, punctuated with anecdotes, quotes and her inside perspective on raising the King of Pop. "I wanted to release a tribute book about Michael to thank his fans for all their love and support over the years," Katherine said in a statement. "My son has been misunderstood and this was my way to share what kind of person he really was." Some of the proceeds from the book will also go to a good cause. "I wanted to give a portion of the book to charity because that's the way Michael would have wanted it." See photos of the late Michael Jackson through the years! 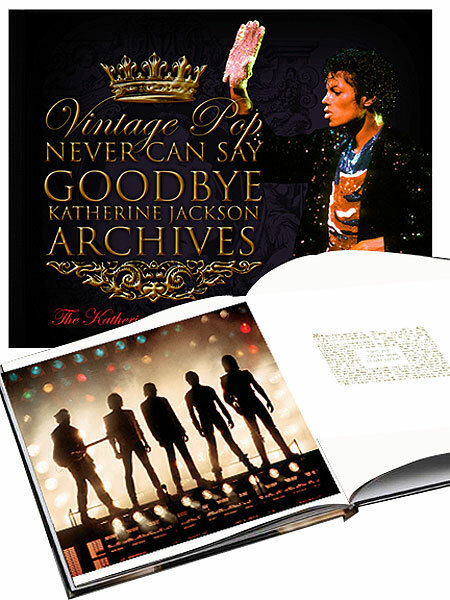 "Never Can Say Good Bye: The Katherine Jackson Story" retails online for $59.99, with an additional electronic version free with purchase. "Extra" viewers get a 35% discount throughout the week, with coupon code: MJExtra. The booking is only available at jacksonsecretvault.com.